With a stay at Hotel Borges Chiado in Lisbon (Lisbon Old Town), you'll be minutes from Fernando Pessoa Statue and Santa Justa Elevator. 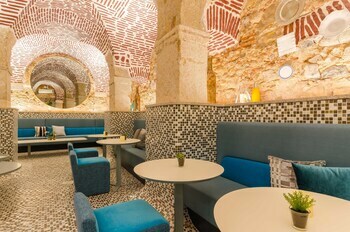 This hotel is within close proximity of Bertrand and Fado in Chiado. Make yourself at home in one of the 96 air-conditioned guestrooms. 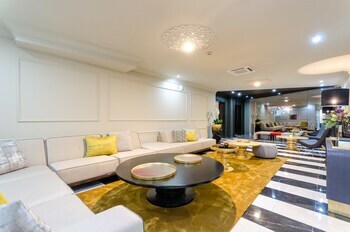 Complimentary wireless Internet access keeps you connected, and satellite programming is available for your entertainment. Private bathrooms with showers feature bidets and hair dryers. Housekeeping is provided daily, and both cribs/infant beds (complimentary) and rollaway/extra beds (surcharge) are available on request. Make use of convenient amenities such as complimentary wireless Internet access, concierge services, and wedding services. Additional features at this hotel include a fireplace in the lobby and discounted use of a nearby fitness facility. Take advantage of the hotel's room service (during limited hours). Breakfast is available for a fee. Featured amenities include express check-in, express check-out, and a 24-hour front desk. Planning an event in Lisbon? This hotel has facilities measuring 3767 square feet (350 square meters), including conference space. 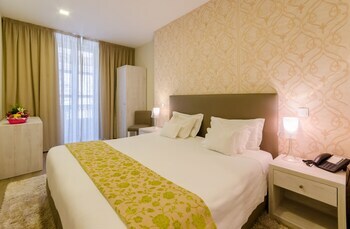 Hotel Borges Chiado is the best Lisbon lodging choice for your trip to Portugal. With numerous amenities for guests such as 24 hour front desk, concierge, laundry, you will wake up at Hotel Borges Chiado feeling refreshed every day for your time in Lisbon. 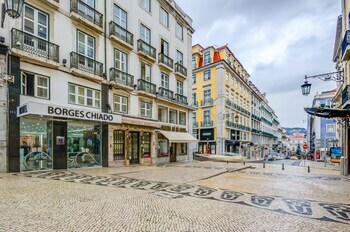 Don’t let this amazing reservation opportunity pass you by, book your stay at Hotel Borges Chiado today to make the most of your time in Lisbon, Portugal.